Audio Visual Design Consultants (AVDC) specializes in the audio visual & acoustical design, engineering, installation and servicing of simple to complex integrated A/V systems. 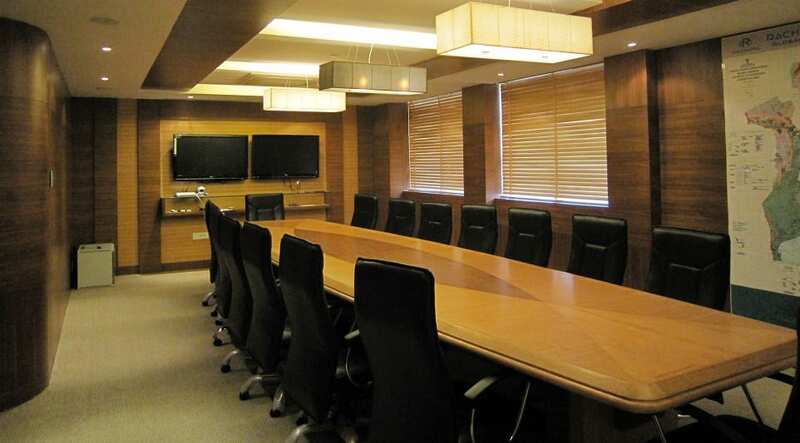 We have extensive experience in installing integrated systems in executive boardrooms, command briefing rooms, briefing theaters, and auditoriums. We specialize in integrating acoustical & audio visual systems into all commercial environments including corporate, public and educational sectors in Washington DC, Virginia, Maryland. ​Our audio visual solutions are used to enhance the effectiveness of communications for a variety of applications ranging from video conferencing suites and general meeting rooms to boardrooms and broadcast quality auditoriums. Unlike other AV companies, we don’t portray ourselves as jack of all trades. We deal with only AV and acoustics and we are good at it. 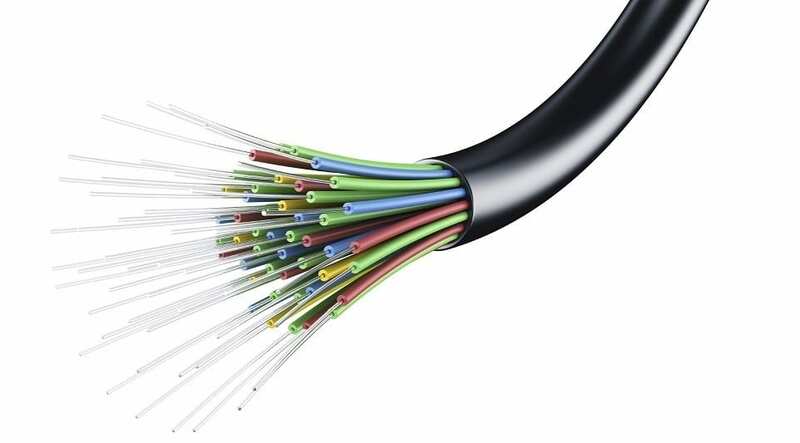 We believe by investing in our infrastructure and people and continually reviewing our strategies we will improve the services we offer to our clients and provide a superior installation and maintenance service. ​Our founder has 30 years of experience in the AV business and our ability to make simple designs that works as good as expensive ones is what sets our business apart. We believe in doing things right the first time so that there is no need of reengineering. I am writing this letter to recommend the excellent services of Audio Visual Design Consultants LLC. Audio Visual Design Consultants LLC has been working with SmithGroupJJR for a few years now providing us with audio visual equipment and installations. Audio Visual Design Consultants has really helped our company throughout the years with audio visual solutions. The key factor on choosing Audio Visual Design Consultants was their in-depth product knowledge, dedication to our needs and requirements, as well as the ability to provide us with solutions within the means of our budget. I am confident about the services Audio Visual Design Consultants provide and I can surely recommend their services. I have had the pleasure of working with AVDC over the past few months to resolve many ongoing and lingering audiovisual and acoustical issues we have experienced at our headquarters office and at Nationals park. AVDC was not in any way associated with the original design or installation of our systems but they jumped right in to address each one of our pressing issues to our satisfaction. Eric Prepscius and his staff are incredibly knowledgeable resourceful and extremely resourceful. We have been impressed with their ability to make honest recommendations. Our only regret is that we didn’t know AVDC when we were designing our headquarters and ballpark system; We have learned firsthand that not all AV designers are created equal and Eric and his team truly are the “A” Team. Zoom Rooms is the world’s first SDVC or Software Defined Video Conferencing system that runs in your conferencing rooms. Zoom Rooms combines video conferencing, wireless content sharing, and integrated audio into one easy-to-use platform. Zoom Rooms bring beautiful, simple, scalable video conferencing with wireless content sharing and integrated audio to any meeting space – conference rooms, training rooms, huddle rooms, classrooms, and executive offices. Zoom Rooms is a software-based video conferencing system which uses off-the-shelf, hardware for cameras, speakers, and monitors – making it the most flexible video solution for any of your rooms. 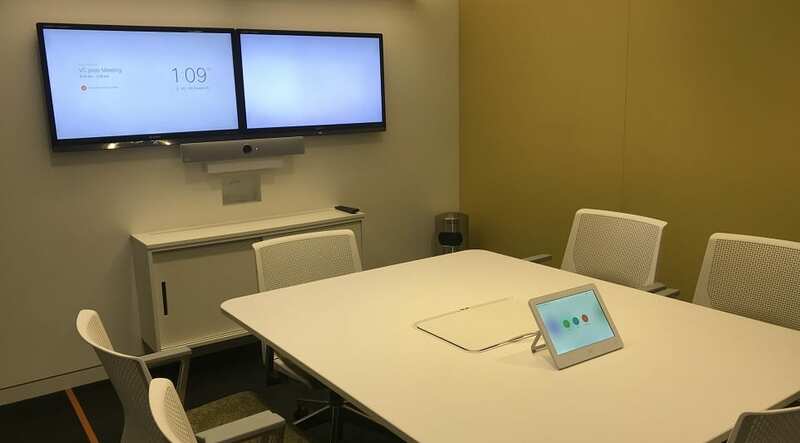 Zoom Rooms can be customized to bring video conferencing and collaboration to any type of meeting space. Depending on your needs, you can customize your hardware selections to perfectly match the goals of that room. The four most common types of rooms are: Conference Rooms, Huddle Rooms, Executive Offices, and Training Rooms. Zoom Rooms offer a complete white boarding, brainstorming, and collaboration interface for interactive whiteboards, or touch screens. You can start, join, and manage meetings directly from the interactive touch display, which supports up to 3 people writing simultaneously on the screen and everyone joining remotely can also co-annotate on the whiteboard. You can then save and send a brainstorming session as an image for later reference. Remote participants can join from the device of their choice – any desktop, mobile, or room system. Zoom Rooms supports any PC-based touch display running Windows 10, and we have certified displays from Display Ten, Opitka, and Newline TruTouch. Zoom offers wireless high-resolution content sharing with proximity detection over Wi-Fi. You can also share from a laptop or mobile device via Airplay mirroring or with a direct HDMI connection. You can even share a video clip with audio! © 2019 AVDC Audio Visual Design Consultants. All Rights Reserved.